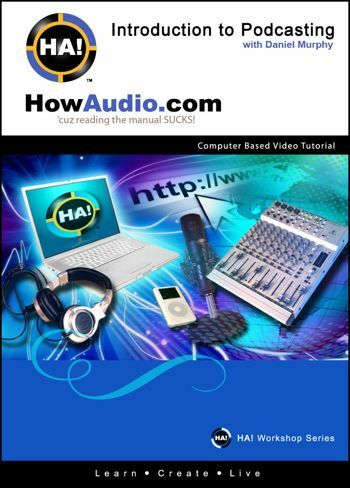 HowAudio has released a new tutorial DVD, Introduction To Podcasting, that covers the basics of podcasting. The DVD features podcasting and audio consultant Daniel Murphy discussing the basics of audio production, including microphones, audio recording/editing software, mixers and soundcards. It also covers topics like USB vs. Firewire, VOIP (Voice Over Internet Protocols), adding music, podcast Web-hosting companies, RSS feeds, MP3 compression and publicizing a podcast.